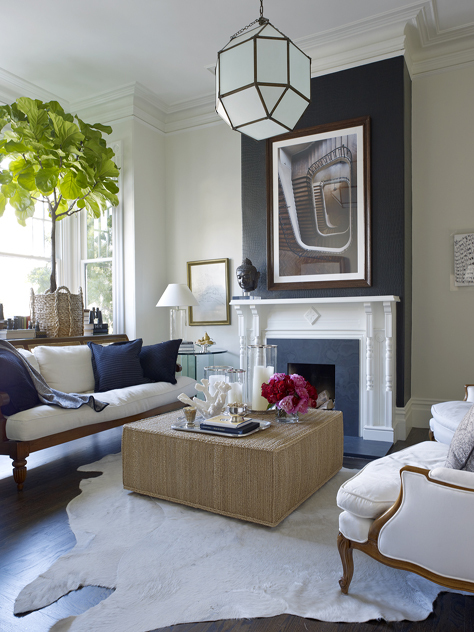 This absolutely swoon-worthy living room from a San Francisco home is designed by the talented Ken Fulk. I love how this room exudes a certain tranquility yet it's perfectly layered and eclectic. The wall above the fireplace is painted black to create contrast and a sense of drama against the surrounding white walls. The huge geometric chandelier and large modern artwork above the fireplace are perfect in terms of scale to balance out the tall ceilings and large volume of the room. I also like how all the furnishings are decorated in a restrained, neutral color scheme with just a green plant and some pink and red flowers to provide a pop of color. 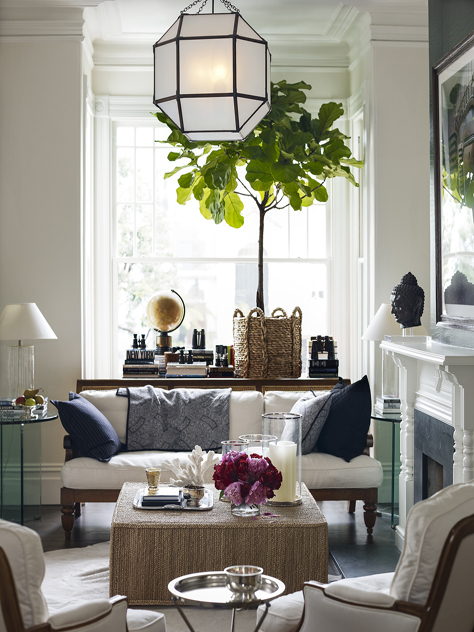 Fresh, effortlessly chic and inviting, this is a beautiful room I would revisit again and again for inspiration. What are your thoughts, my lovelies? Are you drawn to this space as much as I do? I love the loveseat and chairs.